Courvoisier Trials update - now available to purchase. 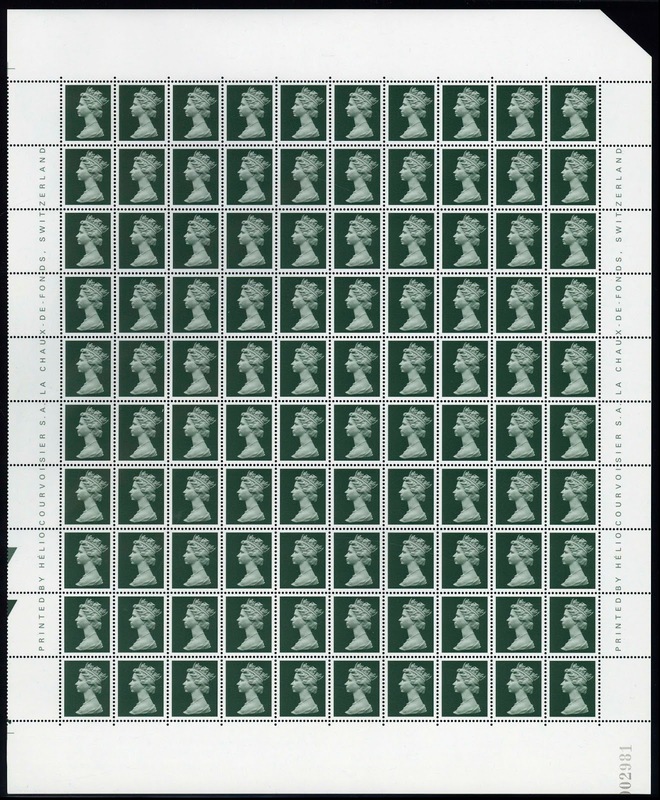 In January we reported the discovery of trials of undenominated Machin stamps produced back in 1987, printed by Courvoisier on behalf of the House of Questa. Some of you will have seen sheets of the stamps, and read about them in the national and specialist philatelic press. The story so far published was far from complete and, with the current owner engaging an American auctioneer to handle enquiries it was by no means certain - even with the involvement of stalwart Allan Grant of Rushstamps - that any would be offered through the UK trade. There was no way ethically to offer them for sale at a sensible price when the total number in existence was unconfirmed and the full background unknown. Now more of the story is known, and the quanrtity available is also more solid. 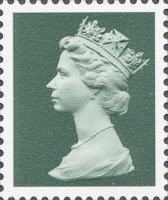 To recap, Royal Mail expanded its range of suppliers in the 1980s and decided in the mid-90s that all the standard definitives should be printed in gravure. House of Questa had no gravure capability but wanted to continue to bid for all tenders whether gravure or litho, gummed or self-adhesive, sheets or booklets. To this end, Questa decided to make a major investment in a gravure press and an automated booklet maker. To achieve the best, Questa partnered with a number of highly qualified and renowned organisations to deliver the skills, processes and technology required to ensure it would be ready for production in less than 18 months. Courvoisier was at that time arguably the finest gravure stamp printer in Europe. The company agreed to assist Questa with technical advice and cylinder making. Royal Mail gave permission for a print trial at Courvoisier using the Machin head: the original material to enable the trial to take place was supplied by Questa. The trials were produced in October 1997 in just three colours (full details in the original report) Courvoisier had printed defnitives for Kenya and so the Machin trials were printed on the same coated paper without phosphor bands, and perforated 15 x 14. The gravure press and the automated booklet line were produced by ATN in France. The new machinery would not fit within Questa’s original base in Camberwell: the move to Byfleet was part of the development. It was not the intention that Courvoisier would print Royal Mail stamps on behalf of Questa, although they might well have had thoughts about tendering on their own behalf. So that is the back story. As for the stamps themselves, two sets of three sheets (200 sets of stamps) are available to the UK trade, the remainder are in private hands in the USA. Although at Stampex Kelleher's were 'taking expressions of interest', the owner was hoping for US$50,000 for the sheets on display, equivalent to just over £400 per set! The stamps are now available in the UK sets of 3 for £150. As this is a significant amount, we can take staged payments over 3 months. A cheaper option is to have a single example, ie one stamp for £60. We are not adding these to the webshop. Customers and readers who are interested, please email at the usual address.